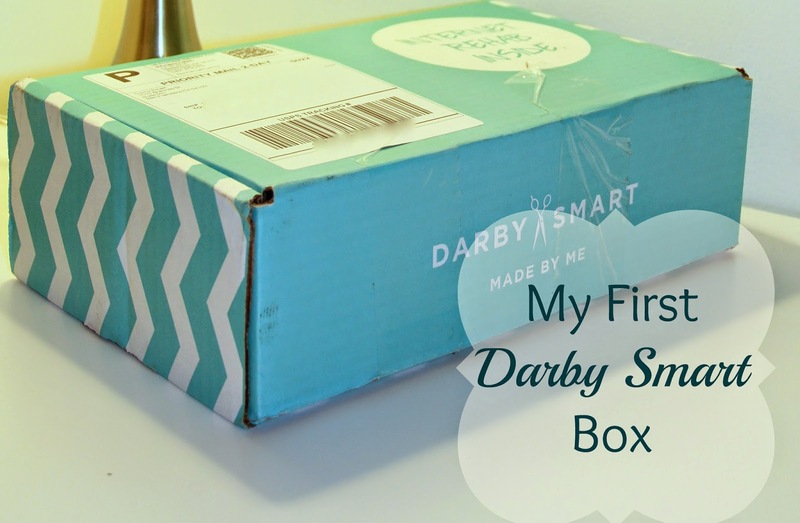 A few weeks ago I discovered Darby Smart and quickly became obsessed. What is it, you ask? 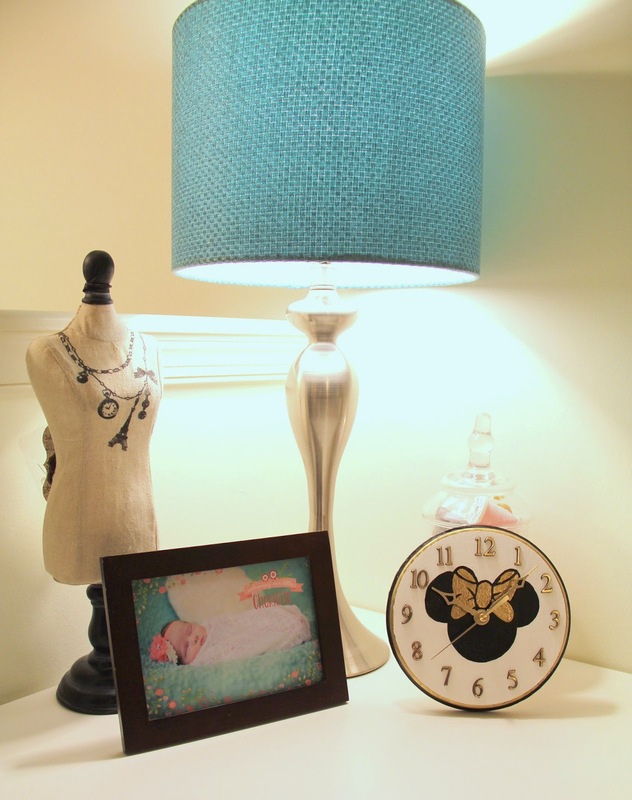 Well it's a DIY site that showcases a bunch of trendy projects that you buy as a kit to make at home. 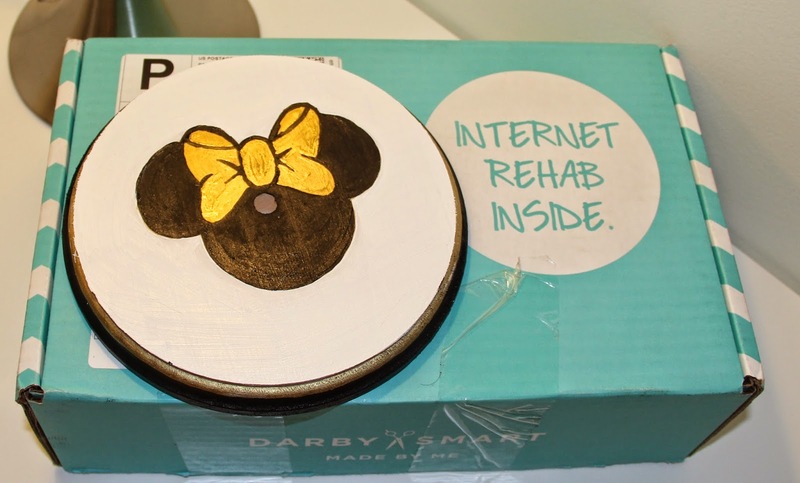 So instead of spending tons of money and time at a craft store trying to gather the supplies needed for your latest Pinterest endeavor, you just find the project you want to make and it comes in a handy dandy box! When you sign-up you get a $10 off your first purchase which is an awesome deal considering a lot of the projects are only $19. I decided to try the monthly "To DIY For Box" and got it for three months, used my $10 off code and only paid $27! My very first box came in the mail and I couldn't wait to see what project was inside (they are special surprise kits, so you never know what you're going to get). This month's kit was a clock. 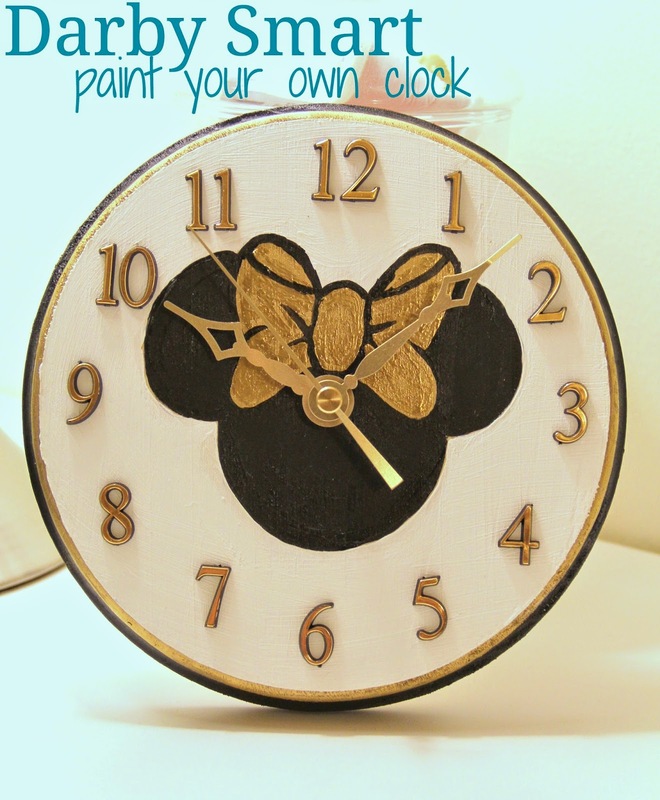 At first I was intimidated by such a blank canvas to work with, but once I read through the instructions online, I started getting ideas of how to design this clock and make it mine. What design did I chose? 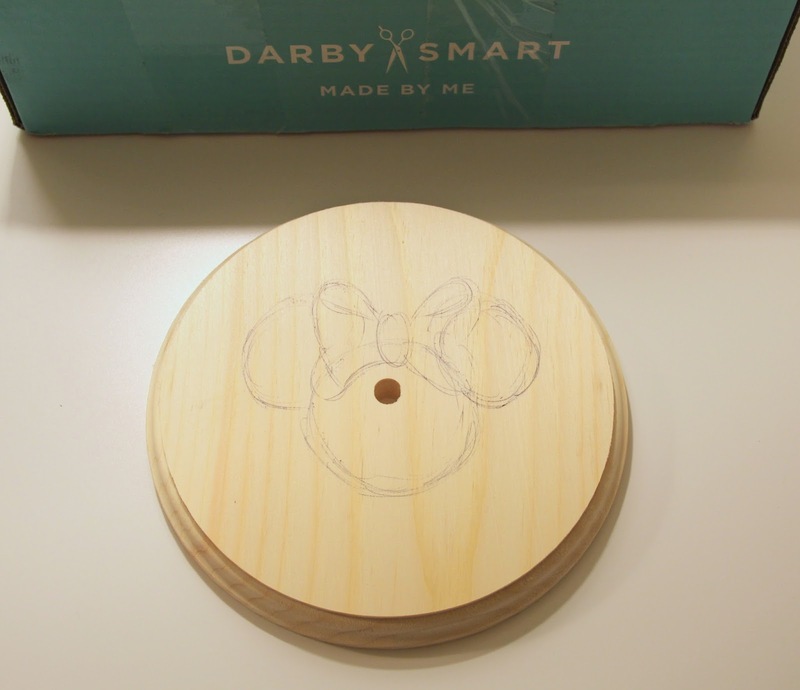 That's right, I'm making a Minnie Mouse clock. Shocking?! Here's the thing, I can draw Mickey and Minnie in my sleep, so instead of agonizing over what to draw or risking messing it all up with a new design, I decided to go with what I know best. Always lightly draw your design in pencil before you bust open the paints. Also, you'll want to keep your design small and towards the center so as not to interfere with the numbers. Painting definitely was the longest part of this project. I used only the colors they gave me because I wanted that clean modern look of white, black and gold. I did however, have to bust out a few small paint brushes to help me with the intricate parts. I hate waiting for paint to dry because once I start a project, I want to finish it and just having it sit there while it dries is always torture to me. Luckily that was not the case with this paint. It dried super fast so that by the time I was done with it I could almost immediately start placing my numbers. 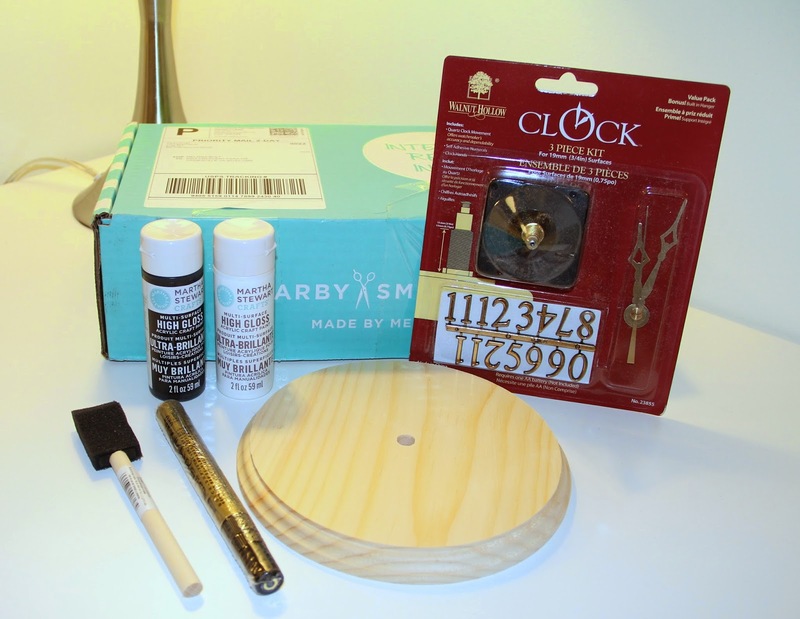 The numbers that came in the clock kit were self adhesive so it was super easy to apply. I simply placed the 12, 3, 6 and 9 on first and then evenly spaced out the rest. They recommended using a ruler, but I was too lazy to go looking for one so I just trusted my eye. 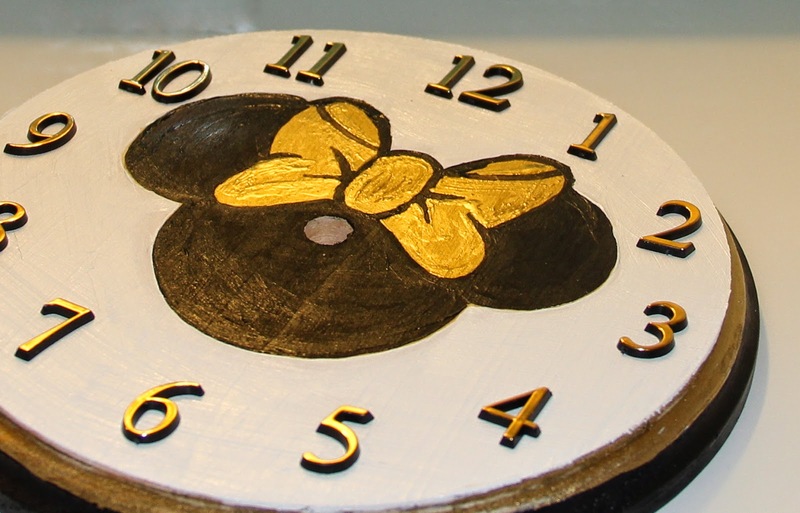 Once all the numbers were on, the only thing left to do was to add the clock mechanism. This was just a matter of following the simple directions on the back of the clock kit. And....done! It was THAT easy! I can't stand how cute this turned out. Not to mention how perfect it looks on my new desk!